While we advise wedding transportation clients to book their limousines, guest shuttles and other vehicles at least three months in advance, one of our company mottos is #YesWeCan. 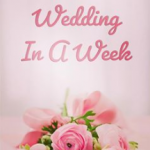 So when Wedding Experience and Mix 107.3 asked us if we wanted to join this year’s Wedding in a Week, we said of course! This year’s winning couple is Max and Tatiana, who received an entire wedding package – but had only 1 week to plan it. The wedding took place Friday, April 5, and went off without a hitch! Click here to visit Mix 107.3’s website to view all photos and videos from the event, but see below for a quick video to see one of our vehicles in action! 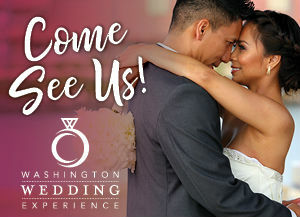 You can see our Sprinter Limousine, as well as an Executive Van Terra (great for bachelor/bachelorette parties) and Minibus (perfect for wedding guest shuttles), for yourself at Wedding Experience on Sunday April 7 at the Dulles Expo Center! Want a 50% discount on tickets? Visit our Facebook page for a discount promo code on admission to the wedding show!